Fellow Sinners, today I am going to be talking about Turn 10’s latest instalment to the Forza Motorsport Franchise. Hopefully I will be able to shed a little light on what you will get in this game, primarily I am going to focus on Drivatars and what they mean to you. Right off the bat I'm going to say that Forza 5 is nothing short of amazing, the graphics are beautiful and the overall gameplay is simply enjoyable. 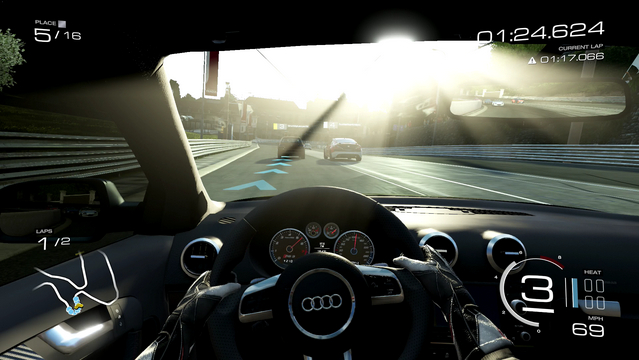 What more would you want out of a driving game other than great gameplay and graphics? Maybe the cast of Top Gear UK talking you through the campaign mode? Well you got that too. To my surprise, when I first launched Forza 5 I was met with the brilliant Jeremy Clarkson from BBC’s Top Gear, right there and then the child inside of me screamed out. Along with Clarkson you will have Hammond and May talk to you about the cars as you progress through the game. So far I have driven the Renault Clio Sport V6 and the Audi RS 3 Sportback in a fair few races and the cars handle magnificently, I have yet to handle the power of a supercar. Okay, you got me. I started this just so I could talk about the Drivatars and how they can impact you for better or worse. So do you remember the ghosts we could race against on karting games and other driving games? The ghost which was your best lap time and the sole purpose of said ghost was to beat its time? Well that’s a Drivatar, but with a personality. When you complete your first three races Forza 5 will have compiled enough information to sync your Drivatar and send it out into the cloud and race against your friends and gamers around the world. The more you progress the better your Drivatar sync is. It will learn more and more about you every race, how you took that third corner and how you took it in the second lap, the Drivatar will program itself around you, it will become you. So why is this good? The Drivatar will race for you when you aren’t playing Forza 5, it will be entered into races that your friends do, as well as gamers around the world. It will drive just like you, do you play it nice a clean? Well your Drivatar will, do you ram other drivers? You guess it, your Drivatar will become their worst nightmare. Along with racing in events while you are away you will receive daily payouts of credits and XP, the better your Drivatar is the more you get, but the only way to get this is for you to drive better. Not only have we now come to the understanding that Drivatars, as awkward as they are, are really good for you but they are also annoying. We all have one of those friends who can’t play racing games, well that friend is about to make your life hell on Forza 5. Trust me, I have experienced it already. Does your friend intentionally hit other drivers out of the way? Then watch your back because it will get annoying real quick, I'm not going to lie with you here, I nearly removed him all because of his Drivatar. Multiplayer and Singleplayer are very much alike now that the Drivatar system has been implemented, it adds that something little extra to the Singleplayer, now that we have a working system which is the Drivatar I cannot wait for future instalments to the Forza franchise, more specifically Horizon 2 (if one ever gets released). Overall I more than happy with Forza 5, it has brought something which I didn't think I would enjoy as I've always been a Need for Speed kinda gamer, it has little things that impress me. 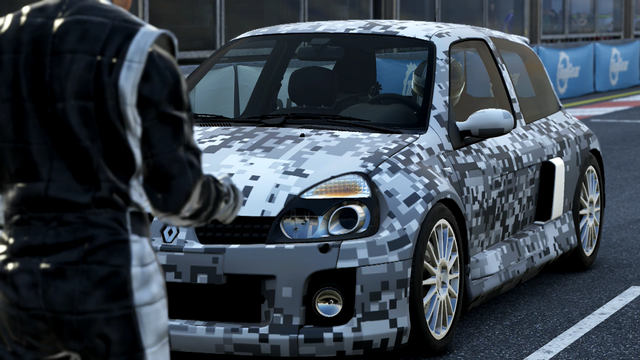 One of them being the drivers reflection in the windscreen, I am not sure if this was on Forza 4 but damn is it impressive. Another feature you will see is the game taking advantage of the vibration feedback in the new Xbox One controller, acceleration, deceleration, changing gear, taking corners hard, ABS, pretty much anything you would feel whilst sat in a real car you can feel through the controller. Have you played Forza 5? Drop a comment below to share your experiences.